Marilyn Crispell is a graduate of the New England Conservatory of Music where she studied classical piano and composition, and has been a resident of Woodstock, New York since 1977 when she came to study and teach at the Creative Music Studio. She discovered jazz through the music of John Coltrane, Cecil Taylor and other contemporary jazz players and composers. For ten years she was a member of the Anthony Braxton Quartet and the Reggie Workman Ensemble and has been a member of the Barry Guy New Orchestra and guest with his London Jazz Composers Orchestra, as well as a member of the Henry Grimes Trio, Quartet Noir (with Urs Leimgruber, Fritz Hauser and Joelle Leandre), and Anders Jormin's Bortom Quintet. In 2005 she performed and recorded with the NOW Orchestra in Vancouver, Canada and in 2006 she was co-director of the Vancouver Creative Music Institute and a faculty member at the Banff Centre International Workshop in Jazz. In 2014 she led a three-week music residency at the Atlantic Center For the Arts, New Smyrna Beach, Florida, and in 2016 led a one-week residency at the Conservatory Manuel de Falla in Buenos Aires. Crispell has been the recipient of three New York Foundation for the Arts fellowship grants (1988-1989, 1994-1995 and 2006-2007), a Mary Flagler Cary Charitable Trust composition commission (1988-1989), and a Guggenheim Fellowship (2005-2006). In 1996 she was given an Outstanding Alumni Award by the New England Conservatory, and in 2004, was cited as being one of their 100 most outstanding alumni of the past 100 years. An instructional video/DVD, "A PIANIST'S GUIDE TO FREE IMPROVISATION: KEYS TO UNLOCKING YOUR CREATIVITY," is available from Homespun Tapes, Box 340, Woodstock, N.Y. 12498. Drawing Sound- An exhibition of graphic scores at the Kleinert/James Gallery, Woodstock, NY, August 25-October 15, 2017. A collaborative art/music project with Scottish printmaker Jo Ganter and Scottish saxophonist/artist Raymond MacDonald. 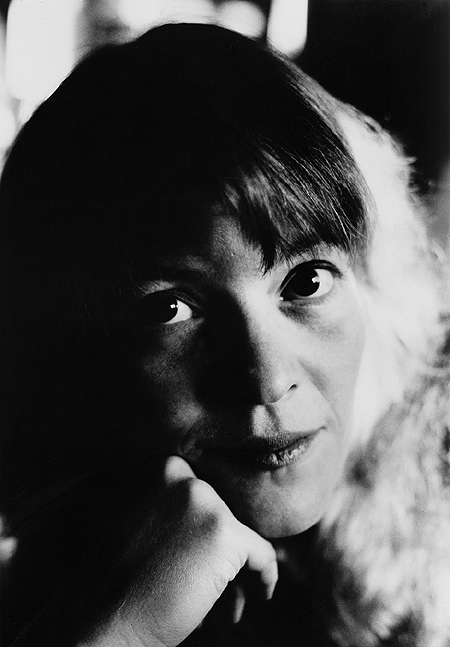 Marilyn Crispell has been a composer and performer of contemporary improvised music since 1978. For ten years, she was a member of the Anthony Braxton Quartet and the Reggie Workman Ensemble, and she has performed and recorded extensively as a soloist and with players on the American and international jazz scene, also working with dancers, poets, film-makers and visual artists, and teaching workshops in improvisation. She has been the recipient of three New York Foundation for the Arts Fellowship grants, a Guggenheim Fellowship, and a Mary Flagler Cary Charitable Trust composition commission. Workshops in improvisation are designed to encourage personal creativity, heighten sound awareness and explore various elements and methods of improvisation. Ways of listening to and relating to each other, the relationship between sound and silence, between improvisation and composition (developing awareness of the logic of a good improvisation), historical perspectives on and examples of improvisation, and the relationship between music and other art forms and disciplines are explored, as well as whatever topics of interest may arise during the workshops. During the workshop/residency period, large group improvisations are structured and may be preformed at the end of the session. People at any level and of any age are welcome to participate. General workshops (as opposed to workshop with professional musical ensembles) may include those at various levels of musical experience.